** This boot list is based on the stuff that’s readily available to us all -- videos, podcasts, interviews -- along with assumptions about the shape of the season and how the twists will manifest. ** Because we haven’t seen these people play even one second of Survivor, every assertion I make is likely to be wildly speculative, horribly misguided, and alarmingly inaccurate. ** The castaways of Ghost Island appear to be nice people, and deserve better than to have their Survivor experiences analyzed by an internet blogger. With that out of the way, let’s create some ridiculous SuperFan fiction, shall we? With a two hour premiere, we have to assume two boots, right? If returnees get only 90 minutes to re-introduce themselves and establish early tribe dynamics, there’s no way newbies get 120 minutes without two of them going home. I can think of two reasons -- one obvious, one a little less so -- as to why they’re burning two episodes on premiere night. Obvious: Because the first boot is dramatically underwhelming. Slightly Less Obvious: To give us a season-starting mini-movie that establishes the narrative arc of Ghost Island’s impact on the game. ** Brendan and Stephanie J will gravitate to one another as the “we’re the oldest players wearing orange, we’ve both got kids, and we’re probably going to be really trustworthy even though we say that we’re willing to be cutthroat” players. ** James seems like the kind of guy who would seek out a bond with Brendan (as intelligent, mature men… as athletes who will be asked to carry the team in challenges… as mutual meat shields). ** Libby and Michael will be a thing within the first day or two. ** Jenna will probably be their wingwoman (after realizing that there’s no way Michael chooses her over Libby). 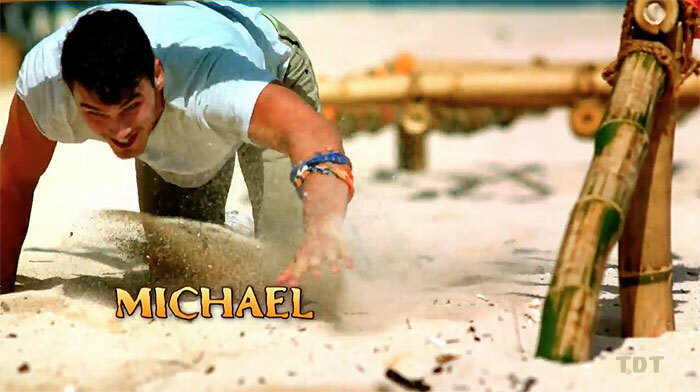 ** I wonder if Michael will join forces with Brendan and James as a “we need to stick together and carry the tribe in challenges” trio… sure, why not, let’s run with that. It won’t last long -- through the first swap -- but it’ll get them through the first few Tribals. ** Donathan is a hard one to peg, but I’m going to say he floats around, finally settling on Stephanie J/Brendan as the players he chooses to trust. Libby’s hard-core Christian values will likely keep Donathan from establishing a long-term alliance with her (and by extension, Michael). ** This leaves Jacob, Laurel, and Stephanie G on the outside looking in. 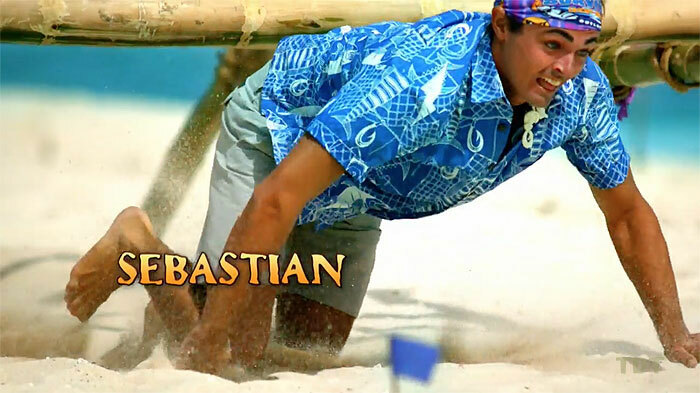 Given the relative strength of the two tribes, I’m assuming that Malolo will lose the first two immunity challenges. I also expect Jacob to be off the table at the first Tribal Council (more on that in a moment), so if you’re a member of Malolo, and you’re looking at Laurel and Stephanie G as possible first boots, who do you target, and why? I fully expect us to get one story -- perhaps that Gonzalez is being too aggressive about putting together an alliance, or maybe that they need Laurel’s challenge strength -- when the truth is that she probably lost during the game before the game. It would appear that everyone (except Chris, who wanted to make out with her) felt that they couldn’t trust her heading into Day 1, and that’s a hole that’s really hard to climb out of. It’s a shame, really, because I LOVED her interview with Wigler. Gonzalez is funny and charming, and she had great reads on a lot of the players. Sigh. Gonzo too soon. If the first hour of the Survivor premiere mini-movie is about establishing the players and introducing the twists and themes of the season, the second hour is going to be all about Ghost Island. As I’m sure you know, we’ve been invited to head into the season asking, “Can they reverse the curse?” Personally, I think the answer for the first player to head out there to the “spooky playground” will be a resounding, “No.” Which is completely fine with production, of course… they want Ghost Island to have a character arc of its own. Specifically, they want the early inhabitants to struggle with how to effectively employ the relics they find… and it’s only when the newbies grow and learn that they’re able to use the idols and advantages better than those who originally had them. Anyway, let’s say you’re on Naviti and you’ve just won the first immunity challenge. You get to have a quick conversation about who to send to Ghost Island. What are your criteria? And are you comfortable sharing your ideas with your tribe (when the levels of your thinking might make everyone wonder just how strategic you are)? You could go after the perceived Malolo leader to leave them rudderless… you could target a challenge beast to weaken him/her, assuming that the conditions on Ghost Island might be harsh… you could attempt to isolate someone who strikes you as a social player, to undermine his or her ability to forge early relationships… really, there are a lot of ways to go. And yet, given early-game dynamics, I expect them to go with obvious, non-controversial group-think. Which means that Naviti will go after someone who seems like a weak challenge performer, to guarantee that they’ll have a double edge in the second immunity challenge (the least athletic player on Malolo will be forced to compete, while Naviti gets to sit their weakest). The player most likely to provide immediate collective consensus, just based on optics? Jacob. ** He misses out on significant bonding time with his tribe. Of particular importance are the stretches before and after Tribal Council; that’s when alliances are forged and galvanized. We don’t know when a player is taken to Ghost Island (one would assume immediately after the challenge) or when he returns to his tribe (the next morning? Surely production wants them to spend the night), but no matter how long or short the window, that’s time he’ll never get back. Socially and strategically, he’ll have a lot of ground to make up. 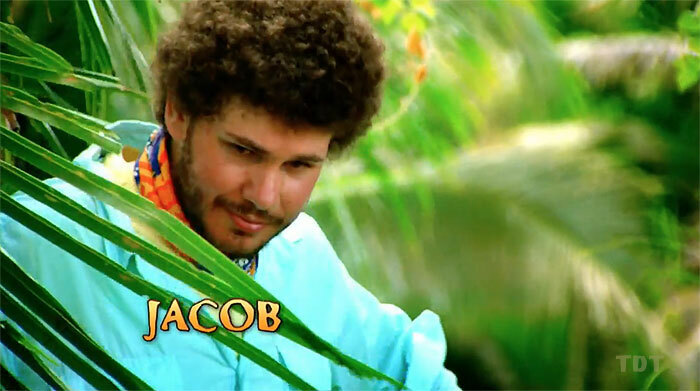 ** Because Jacob knows so much about the show -- and because there’s no way for him to hide that fact -- his tribemates will see him as a massive threat when he returns from Ghost Island. To them, he’ll be a SuperFan undoubtedly armed with something that he’ll know how to use. The target on his back really couldn’t be any bigger. ** Life on Ghost Island won’t be easy. He’ll be isolated. Alone. Hungry. Cold. There’s a good chance he returns to the game far weaker than he left it. All of which is to say that if Malolo loses a second time -- and the odds are high that they will -- then Jacob goes home. For the record, I don’t want this to happen -- he seems awesome, and I really want a blogger/podcaster to do well for once -- but the cards are stacked against him. But if he manages to establish himself in an alliance? Look out. He could earn a seat at Final Tribal Council. When people talk about how Survivor players build their own society, one of the things they’re referring to is how they get to create their own value system. In essence, they decide what -- and more importantly, who -- matters. Yes, the game is a factors -- tribes tend to want to win challenges, and in this season of slim provisions, they’ll want to be fed -- but in the end, the castaways get the final say. Malalo, it seems to me, is going to be the tribe of trust; the prevailing strategy will be to form relationships and target those who appear to be overtly out for themselves. Naviti, on the other hand, feels like it will be MUCH different. The players in purple are going to be all about manipulation and maneuvering. ** I can see Domenick and Wendell -- as the two oldest men on the tribe -- deciding to work together to school the kids. ** Chelsea may work her way into that alliance as someone they think they can use as a number (but who will have her own plans down the line). ** Bradley and Kellyn are destined to play this game together (which is to say, placed in proximity by production), and so they shall. He will want to blindside people. She’ll insist that they be nice about it. ** I think Kellyn will like Wendell, and the two of them will be the bridge and bond in the dominant Naviti alliance. ** Sebastian and Morgan -- who have Florida and water-based occupations in common -- might work together in the early going. She will tire of his unwillingness to strategize; he will tire of her aggressive personality. Both will move on to other, safer harbors after a swap. ** That leaves Chris, Desiree, and Angela without an alliance. Chris will linger because of his athleticism (although a lot of those muscles are for show)... which leaves the other two in trouble. In the end, Angela feels like she’ll rub more players the wrong way, which means when Naviti goes to its first Tribal Council, Angela goes home. With production being cagey about how players will end up on Ghost Island (it won’t always be connected to the loss of an immunity challenge), I think we can assume that at least once we’ll get a swap at an odd number, with the extra player going to GI and then joining the losing tribe after Tribal. 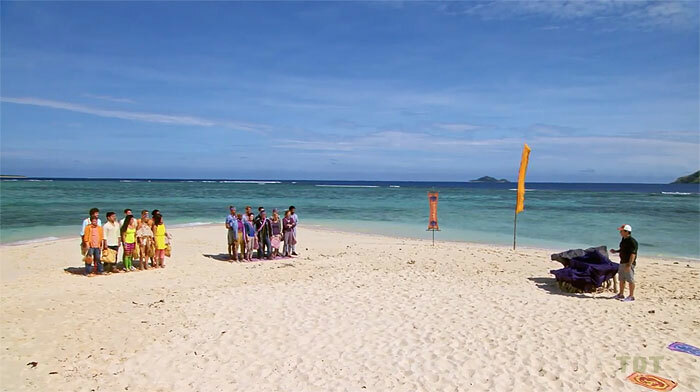 If the original Malolo tribe members are down in numbers on one or both of the swapped tribes, their stronger players are going to get picked off. James feels like he could be one of these casualties. His IQ may be a squiggle, but his EQ is a question mark, and while his original Malolo tribemates are busy making new connections with the former Naviti castaways, he’ll be waiting around to reunite with Brendan, Stephanie and the gang. The thing is, he may not get there. And even if he does, he’ll be targeted as a potential immunity necklace hog. And even if he avoids THAT danger, he’ll still probably head into Final Tribal Council with people a lot like him (loyal, smart, strong), and can he really win that way? Can he make connections with the jury with such a precise manner of moving, interacting, and speaking (something many of the other players pointed out)? I say no. Since the “send the SuperFan to Ghost Island” plan worked so well with Jacob, why not do it again with Laurel? 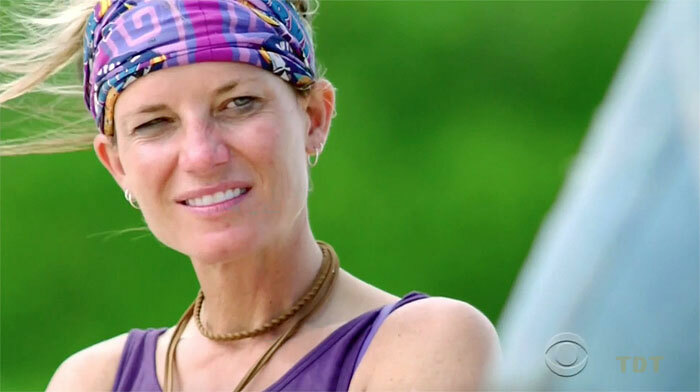 If you can turn her into a quadruple threat (the usual triple threat who is also armed with a Ghost Island Idol/Advantage), you pretty much sign her death warrant. Going to GI after a swap is almost as bad as going there on Day 3; you miss out on the opportunity to find a place within the new tribe dynamics. While a strong social game could spare Laurel (and she seems really personable), I worry that she’s going to be in trouble on that front from the outset of the season. Who’s in her early alliance on Malolo? I just don’t know. And, lest we forget, Survivor doesn’t have a great track record with regards to race and gender and their connection to early departures from the game. Given all of that, I’ll be (pleasantly) surprised if she makes the merge. Maybe there will be only one swap, but I doubt it. If they mix up the tribes at 17 (which feels about right to me), they’re not going to stay in the swapped tribes all the way to the merge (no way they risk strategic and social stagnation for four or five episodes). And if the original Malolo is getting utterly annihilated by this point, they’ll have a shuffle just to see if anything new shakes out. I just realized that I’m at almost 2500 words into this thing and I’ve covered only six players. You know what that means? Right! Time to start using bullet-points. ** There’s clearly a trusted freelance casting agent in Florida… Gonzalez, Chris, Sebastian, AND Morgan? And with Sebastian and Morgan attending the same open casting call? I’d love to know the full story behind FL becoming the new L.A.
** Some folks are comparing Morgan to Kim Spradlin. C’mon, son. Anyone who watched Kim’s pre-season video wanted to marry her or be her best friend. Morgan seems delightful, but she isn’t Kim. No one is. 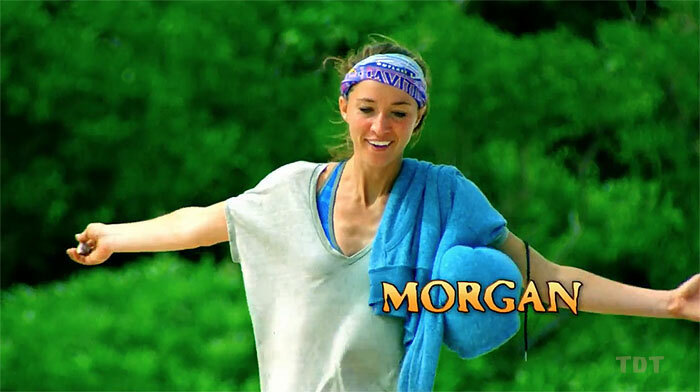 ** Morgan will be super dangerous after the merge (she’s built to win individual immunity challenges), so they’d be wise to get her out before then. ** If Naviti has a solid numbers advantage at this point, the dominant Naviti alliance might be tempted to take out one or two purple players, both to make sure they control the post-merge game and as a gesture of good faith to some Malolos they might be courting. ** She’s about as high-variance as they come. She could go really deep. She could go out first. It all comes down to how her personality emerges as the game unfolds. ** If there was one thing that jumped out about Desiree in her pre-game interviews, it’s that she doesn’t trust many of the other players. This isn’t necessarily a bad thing -- in the end, you need a healthy dose of paranoia out there -- but the negative perceptions were pervasive. She’s going to have to trust some of her tribemates, and, perhaps more importantly, she’s going to have to find people to trust her (which is connected to how much she chooses to trust; funny how that works). ** She may be the victim of subconscious calculus: Savvy players can feel the merge coming, and the priorities around boot criteria shift dramatically. Someone like Bradley might see Desiree as a significant post-merge threat, because she wouldn’t be targeted, and she’ll have her own strategic agenda. There is plenty of time up ahead to take out the meat shields and couples and nice people… but time is running out to remove endgamers before the endgame. Which is why Desiree might go out here (because if she doesn’t, she’s going to be vying for a seat at Final Tribal). ** When I see guys like this in the cast, I wonder what path he imagines following all the way to the end. How does the Mr. & Mrs. Smith strategy play out in his march to victory? What, in his ego-fueled fever dreams, does he say in his speech to the jury? ** I also wonder what he would think if he heard the producers iterate his fate in the game. He’s there, one imagines, to be antagonistic cannon fodder; not a villain, exactly, because villains aren’t this unaware and self-absorbed. If they simulated this season a thousand times, there’s only one that ends in a Chris victory, and that version of Ghost Island involves a lot of medevacs. ** Mistake #1: Getting jacked before the season started. He’s there to become a model, so maybe it doesn’t matter. But he’s going to be in a lot of pain early. ** Mistake #3: Being 18. Having run an upperclassmen boys dorm at a boarding school, I’ve been around a lot of guys like Michael. Sometimes, they act like they’re 27, mature and wise beyond their years. Other times—usually when they’re stressed out, hungry, and tired—they act like they’re 12. They also lose all rational thought when they fall for a girl. All of which is to say that Michael’s game is going to be a complete and utter mess. ** He’s going to be useful in challenges… he’ll be a solid number in an alliance since he’ll be paired with Libby… and he’ll be an easy target after the merge. ** Given that freelance casting agents get paid by how far their recruits go (or so I’ve been told), a floater like Jenna might earn someone a nice paycheck. 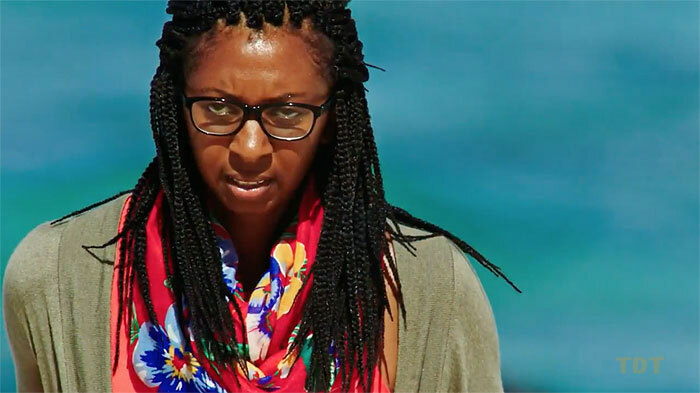 ** When Probst says that he hopes you’re a fan favorite, particularly with kids, then you’re making the merge. ** This is especially true when the provider role is getting some production shielding this season. ** He’ll be kept around to catch fish as long as the dominant post-merge alliance can afford to do so. 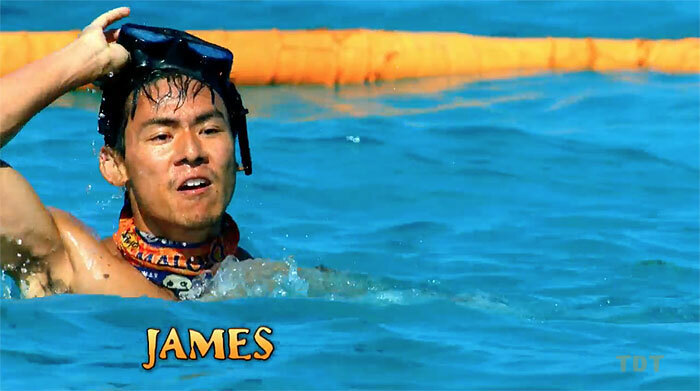 ** He’d be voted out before Jenna, but we can expect at least one “saves himself” individual immunity challenge win. ** She’s pretty much the perfect floater: She’s athletic, so she’ll coast through the pre-merge… she’ll be loyal to a fault (she says she’ll make moves, but that’s all talk)... and she won’t see the schemers or their schemes until it’s too late. ** That said, I’m preparing myself to be surprised. In her interviews, she was articulate, warm, and engaging. So she has the potential to play a great social game. ** Starting around F10, there’s going to be a campaign to vote out all of the nice people, and Libby will be high on their list of targets. ** Can’t let him get any deeper, can you? His story is too darn appealing. And if he gets to make his case to the jury, how can they not vote for the guy? ** For my money, the best Survivor players are moral relativists. They understand that social rules are the end product of negotiation between individuals and groups. There are a handful of players left in the game who plan to play whatever game will get them to the end (and hope that they’ve defined “aggressive gameplay” as not only permissible but laudable)... Donathan is not one of those players. ** I really hope I’m wrong and that Donathan can flip the strategist switch in the post-merge game… but right now, I don’t see it happening. What makes him awesome is the very thing that will end his dream: He’s too nice. ** After helping engineer the elimination of nice, Bradley will be at the center of a pitched battle between two final factions. ** Bradley will believe that the original Naviti alliance -- Bradley, Kellyn, Wendell, Domenick, and Chelsea -- will stay together (and believes that he has a F3 deal with Chelsea and/or Domenick). ** Domenick and Chelsea have other plans, however, because they don’t think they can beat Kellyn, Wendell, or Bradley (in that order). ** Why can’t they beat them? Because the jury will be too full of nice people. ** So Domenick and Chelsea flip and team up with Brendan and Stephanie J -- and Bradley goes home. ** Once Bradley is gone, Kellyn is next. They’re a package deal. A dangerous one. ** She will give Bradley the empathy he needs, while he will help her strategically. For some people, change and growth comes from within. These two, however, will serve as mirrors for each other, surfaces in which they can see their strengths and weaknesses reflected back at them. ** She’s got a great Survivor skill set: she understands the game… she understands people… and she isn’t threatening (until she transforms into someone who could win as the endgame approaches). ** Clearly, people love her. Just look at how the other players talked about her at Ponderosa (they all adore her). And then look at the early shots of her on the mat when Probst is talking to everyone for the first time (her smiles are huge and genuine; more importantly, everyone is smiling along with her). ** She’s coming into the game both strong and vulnerable. She’s had a hell of a year, and it will provide fortitude when the nights are long and the fear is high. It will also, however, trigger tears when the game twists and turns out of her grasp. ** She could be in danger early (because of challenge contributions), but if she gets through the first boot or two, she’s around at the end. ** Is it possible to be so old-school threatening that you cease to be a threat? Sort of like being so overrated that you’re underrated. That’s a thing, right? ** My point: Brendan might be such an obvious target that he isn’t targeted when he needs to be targeted. ** I can see Brendan being at the heart of an “Elder Alliance” (which this season means the over-30 club). If he and Stephanie J can get to the merge and pair up with Domenick, Wendell, and Kellyn, they could control the game. ** And who would say no to that? Brendan is the “he’s gotta go” of that group, someone that everyone would assume is a unanimous choice to get his torch snuffed when the alliance has to turn on itself. ** If Malolo struggles early (and I think they will), Brendan’s importance as a challenge beast will carry him to the merge. ** He could get targeted at that point… but there might be more pressing threats to deal with (alphas in showmances)... and after that, he and someone like Steph J could become useful numbers in the effort to neutralize all of the nice. 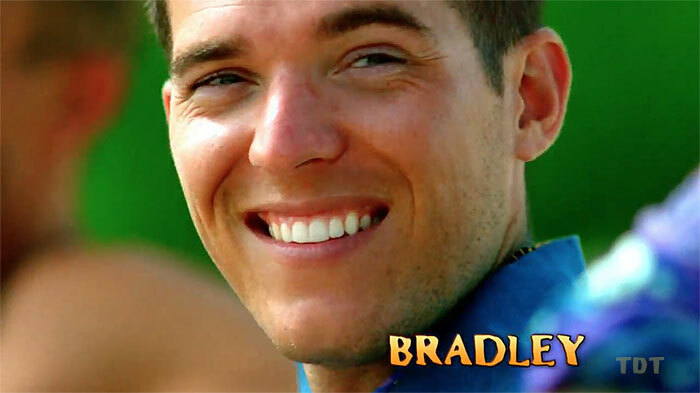 ** As Probst’s ManCrush of the season, Brendan pretty much has to go to Ghost Island (quite possibly in a self-sacrificial “I’ll go, guys” move that will be portrayed as heroic)... and he’s going to come back with something really powerful (maybe half of a SuperIdol). ** To be clear: I like Brendan and I’ll be rooting for him. He really shouldn’t get this deep… but he just might. And if he does, I’m not ruling out an idol and immunity run followed up by a fire-making victory at F4. ** That said, if Brendan won, wouldn’t Probst be saying that this is the best season ever? 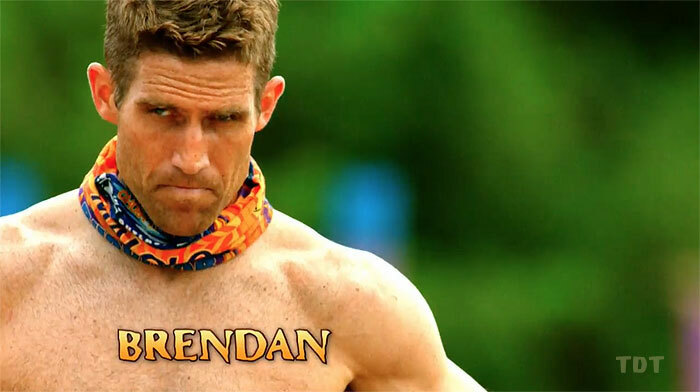 You have to wonder if Brendan is targeted because of the F4 fire-making twist. That would piss off Probst, don’t you think? 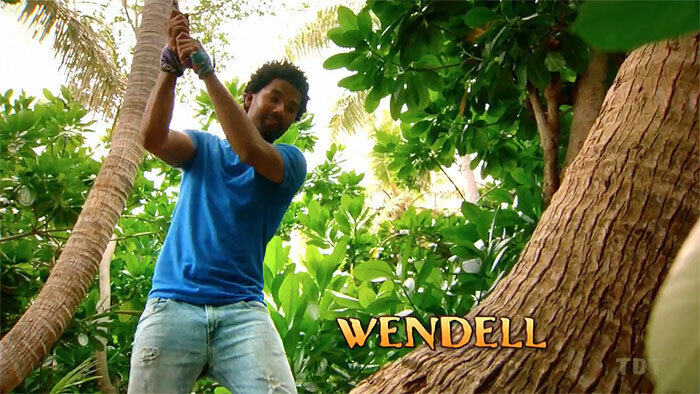 ** I was tempted to make Wendell my winner pick, but when I found out that Probst—and almost everyone else in the world—did, I had to rethink things. ** Wendell embodies what Chuck Klosterman would call, “Survivor mediocrity.” To explain: In an interview with Probst, Klosterman asked if being mediocre was the easiest path to Survivor success… if you stand out in specific ways, you get targeted… but if you’re average, you have a better chance of getting to the end. Probst, unsurprisingly, wasn’t happy with this line of questioning. And, frankly, the angst over the possible truth to Klosterman’s observation is what fuels changes like the F4 fire-making twist and halving the rice so providers are more important. ** How is Wendell mediocre? I mean, he isn’t, really. He seems very cool and competent. But he’s not an obvious physical threat; he’ll be useful in challenges, but he prefers to appear as someone who is “not a liability” over being indispensable. He’s not an overt strategic threat; he’ll talk game with the other players on his tribe, but he doesn’t seem like the kind of guy who will be eager to call the shots. And, while he appears warm and kind and funny (he’s got a great NPR voice), he’s looking to “lead from within” rather than be out front. ** He’s got obvious outliers shielding him in every key area: Chris will be the challenge beast meat shield… Bradley will be identified as the key strategic threat (Domenick will be, too, given that everyone sees him as a Tony who will be out idol hunting)... Kellyn will be seen as the dangerous kind of nice… for every criterion you use to label someone as a threat, Wendell will appear on the list, but he’ll never be at the top (and thus, will never be the first target). ** He’s also on a tribe that looks positioned to win the early immunity challenges. Give him time, and he’ll be at the heart of an alliance. And it looks like he’ll have that time. ** As Final Tribal Council approaches, though, the original Naviti alliance members will have to turn on each other… and Wendell may be the odd one out. Because he ISN’T mediocre. Wendell would win. Which is why he falls just short (but I hope he doesn’t). ** To be clear: I’m not saying that she’s the third most likely to win the game. That’s crazy talk. What I AM saying is this: If she makes the merge, there’s a good chance she makes her way to the end. ** Before I go into why, a quick note about Stephanie: I really like her. She’s a SuperFan, she teaches yoga, and in a world of negativity, she’s relentlessly positive. She’s also a certified badass, because only certified badasses finish an ironman. ** I’m also aware that I may have gotten my Stephanies mixed up and SJ (and not Gonzo) could be the first boot because her personality could overwhelm the other players. ** If she finds a home within an early alliance, though, and avoids having her head on the chopping block in the early going, she could quite easily make the merge. If SJ becomes Brendan’s OTP (One True Person) -- and I’d love to see that unfold -- there’s a great chance of that happening. ** Here’s the thing: There is power in being written off as a potential winner candidate by some of the other players (so long as not ALL of them do; I’m looking at you, Abi-Maria). ** Many of the young, ego-driven castaways are probably going to view SJ this way. ** Don’t underestimate the power of “camp kindness”; something tells me that SJ’s over-the-top personality will mellow pretty quickly, and the mother and teacher in her will move to the fore. People will like talking with her. Couple that with SJ not being perceived as a threat and there’s never a pressing need to get her out of the game. ** If members of the original Naviti tribe are in control after the merge, SJ will be at the bottom of their list of potential boots, and when they get around to bringing up her name, it will be time to take out true endgame threats (including some of their own). ** I could be completely wrong and SJ will be the cutthroat player she says she can and will be, but I have a hard time seeing it. Would be fun, though. ** If Domenick is in the Final 3, he should probably win. Why? Because he’s just what production wants: He’s going to make moves. He’s going to find/get idols. He’ll be able to make the “I played the best game” argument. ** With the sort of jury he might be facing, though, will that work? Are younger players more bitter, I wonder? Will nice people (Donathan, Kellyn, Wendell, Brendan) -- particularly those that Domenick will have to betray -- refuse to reward him? ** If he had been aggressive the entire time -- and played the Tony game that he thinks he will -- then sure, he could get away with it. ** After listening to his interviews, though, Domenick feels far warmer than the cold, calculating persona that he was pitching us. That will help in the early going, when he’ll seem less threatening. But it could kill him at the end, when the backstabbing will be taken more personally because “dad” (or “uncle,” which is what Domenick says he’s shooting for) did it. The moral mandates for dads aren’t as restrictive as they are for Survivor moms, but they do come into play. 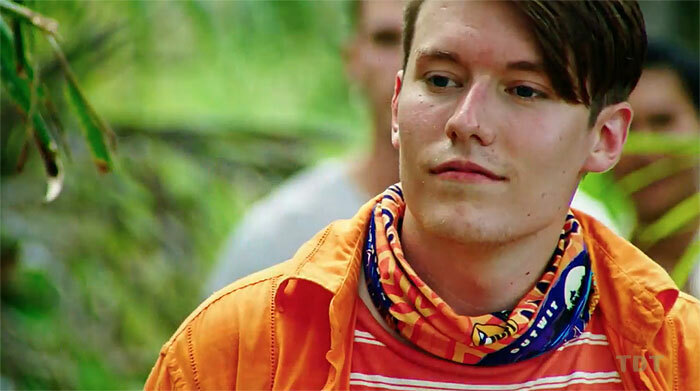 ** Naviti is the perfect starting tribe for him: He’s going to have other gamers to team up with, one of whom -- Wendell -- could conceivably help him shape a larger alliance with Kellyn and Bradley. 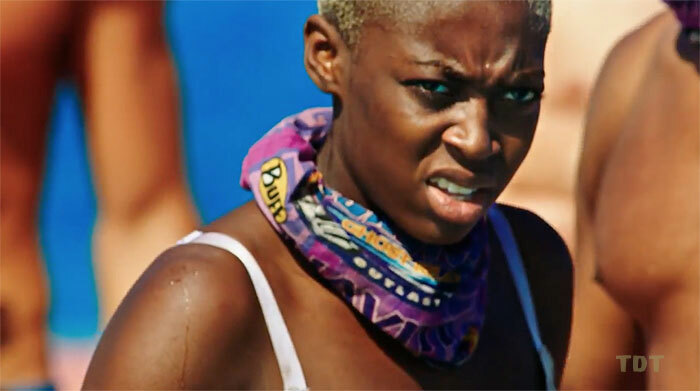 ** If Naviti has the numbers, Domenick will cruise to the merge… and at that point, who targets him before the endgame? ** I’m sure a handful of you scrolled down here to see who my winner pick is, and once you did, you scoffed and wrote me off as an idiot. Let me direct your attention back to the opening in which I stipulate that I am, in fact, an idiot. Did you really expect anything different? ** Look, I get why so many people are writing off Chelsea. She seems reserved (some would say bland). Her career path -- cheerleader to EMT -- makes it hard to get an honest read on who she is underneath it all. And, perhaps most damning, many of the other players had negative reads on her at Ponderosa (they expect her to be ruthless). ** Pre-merge: Social and strategic players like Domenick and Wendell will like her (she’s not there for a showmance, but she’ll flirt in that way that can bring an alliance together; if anyone in this cast can be Parvati redux, it’s her)… she’ll be an asset in challenges… and there’s a good chance that some will write her off as a pretty face. ** Post-swap: Naviti could have the numbers, and even if they don’t, Chelsea shouldn’t be high on anyone’s boot list. She won’t rock any boats, and she’ll fight like hell in challenges. ** Post-merge: There’s a good chance she’s part of the dominant alliance… and probably everyone in it will assume that she’s with them. ** When the time comes to do some endgame flipping/betraying, she won’t hesitate. She’s a professional cheerleader, folks. SHE WILL CUT YOU. 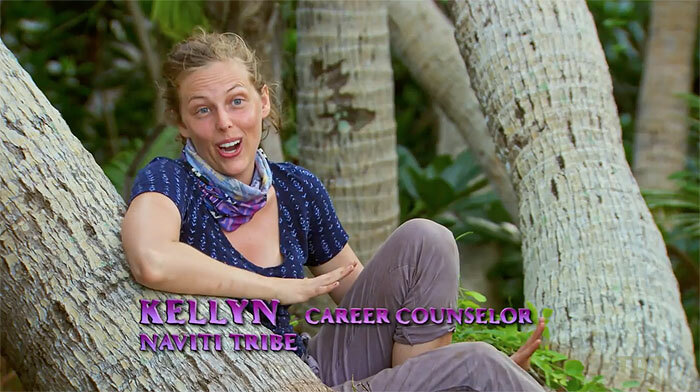 ** She could very well end up being the player at Final Tribal Council who has the least amount of blood on her hands but who still has a reasonable resume… and sometimes that’s enough to win. One last thing before I go: I just watched the first three and a half minutes of the premiere… and I must opine! You thought you were done with ridiculous theories after 5000+ words? Think again! Keep in mind that the producers and editors spend a lot of time deciding what shots to include in the opening, and those decisions are heavily informed by how the season played out… so they’re giving a lot away if you look for the clues. The first solo shot: Stephanie J. She’s going to be around a while. 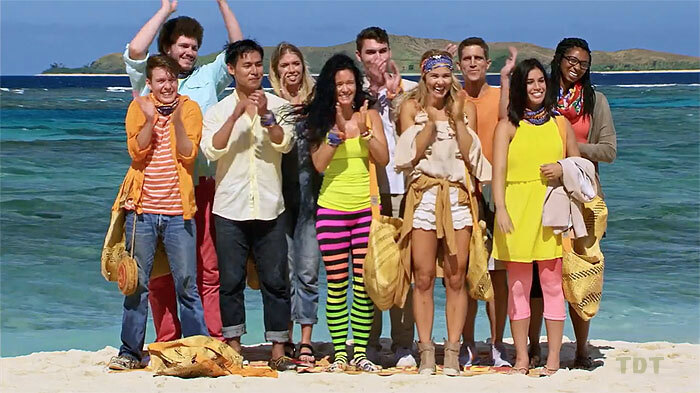 Probst says something about players changing their lives, and we get a close-up of Donathan. That’s going to be his edit: Donathan is a player who undergoes significant personal growth over the course of the season. A shot of Chelsea looking enigmatic. Ooooooo -- support for my idea that she’s going to be scheming! A long shot of Kellyn followed by a shot of Bradley. Yep, they’re working together! And Kellyn is the more important of the two. When Probst talks about one decision haunting you forever, we get a long shot of Morgan. She’s going to screw something up and leave the game with regrets. Here’s Stephanie J again, this time saying, “What?” Possibly a hint that she’s out of the loop later. A shot of Domenick saying, “Ugggggh.” He’s going to get a ton of reaction shots this season, don’t you think? His face is expressive and his voice is distinctive. Which means he’ll also have about eleventy billion confessionals. One final thought: Brendan, Jenna, and Angela are conspicuously absent in the opening. Brendan’s in the background a few times, and there might be one shot of Jenna swimming, but Angela might as well not have been there. My bet is that Jenna and Angela have zero impact on the game, while Brendan is going to factor heavily into the challenge that takes place right after this clip (so to have him featured in the intro would be overload). Thanks for making it all the way to the end! If you want to keep the conversation going, leave a comment below. Unless, of course, you just want to call me a moron. I know that already.